The implementation of Inmarsat Global Xpress (GX) across Marlink’s global network infrastructure and service delivery platform is now complete. Following successful installation and testing at all three Global Xpress ‘Meet Me Points’ (Indian Ocean Region, Atlantic Ocean Region and Pacific Ocean Region), Marlink will be able to offer Fleet Xpress globally along with its unique range of maritime digital solutions, such as XChange and SkyFile. By empowering Fleet Xpress with its proprietary solutions, Marlink will unlock significant operational gain and benefits for customers choosing Inmarsat’s new service. The ability to retain Marlink’s XChange and digital solutions, will make migration to Fleet Xpress easier and more cost-effective for Marlink’s existing customers. Combined with Fleet Xpress, XChange and SkyFile will enable maritime clients and their vessels to achieve further operational efficiencies and cost reductions, as well as boosting crew well-being on-board. Already installed on thousands of ships, Marlink’s digital solutions allow efficient management of communications & IT on board, including remote access from shore. 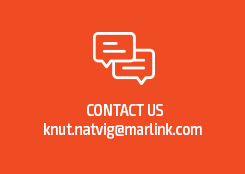 Also available to Fleet Xpress users is Marlink’s well established, optimised and user-friendly messaging and data-transfer solution for ship-shore communications, in addition to a powerful cost effective solution offering full control for private crew communications (voice, internet access and social media). Scalable and designed to host future innovative maritime applications, XChange enables Marlink’s maritime clients to access new digital solutions with minimal effort and cost, helping them to run their ships in a safer and more profitable way. An illustration of this, is the recently released XChange Telemed, which delivers an end-to-end secured telemedicine service, including remote video assistance, for less than $1 per day, per crew member. In June this year, Marlink and Inmarsat signed a milestone strategic alliance based on the integration of Fleet Xpress with Marlink’s multi-band communication services portfolio. 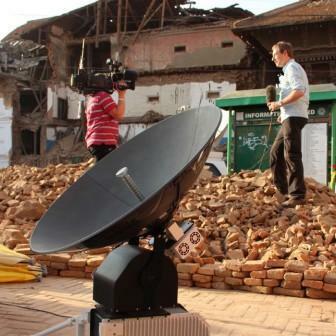 The pair worked closely together prior to forming the alliance, with Marlink supporting Inmarsat during the development stages of Global Xpress. As an independent service provider Marlink is able to deliver Fleet Xpress services with a large range of maritime digital solutions and applications. Marlink and Inmarsat will continue to work jointly to deliver over Fleet Xpress an ever increasing range of digital solutions to the maritime industry. “The combination of the power of Fleet Xpress with the value-added services offered by Marlink enables ship owners and operators to enhance their business intelligence and improve operational efficiency and as a result brings the concept of ‘smart shipping’ closer to reality,” said Ronald Spithout, Inmarsat Maritime, President. “The integration work undertaken by both sides to meet readiness also highlights the strength of the strategic partnership between Marlink and Inmarsat,” said Mr. Spithout.